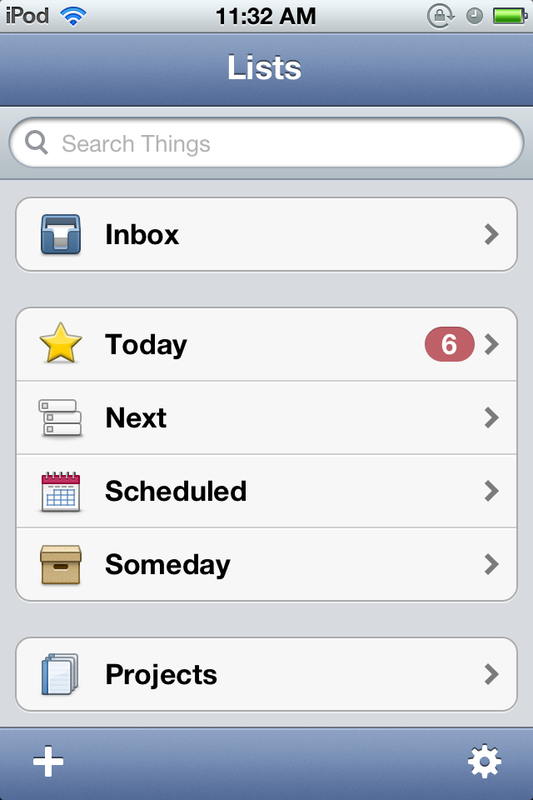 Just a quick post to note that Cultured Code has released a major update for Things, my to-do manager of choice. I took a break from Things last spring because of the lack of syncing to multiple devices, but was then granted access to the beta testing version of the cloud syncing service. One of the conditions of beta testing was that I couldn’t write about the application, but now that the update has been released, I’m back to using the official app. I don’t have anything new to say about the functionality of the application–I still think it’s the ideal combination of robust, customizable, and relatively user-friendly. I’m also quite fond of the aesthetics. The design is clean and appealing without seeming over the top (one of my complaints about Wunderkit). The iPhone and iPad software is as fully-featured as the desktop version, and, most importantly, the syncing works beautifully. As long as I have an internet connection, I have access to the most updated version of the day’s task list. Given the number of different devices I use in the course of the day (evidence that I may have a bit of a problem, but that’s a different issue), I need my to do list to be accessible on all my different gadgets to make actually completing those tasks as hassle-free as possible. As nearly every review of Things notes, it ain’t cheap. $50 for the desktop version, $20 for the iPad, and $10 for the iPod. And it took a long time for Cultured Code to release the updated version–long enough that a lot of folks, me included, went searching for a replacement. But as syncing was the only major feature Things was lacking, the speed of future updates isn’t as much of a problem anymore. If you’re looking to transition to Post-it note to do lists to online ones, Things is probably overkill, but if you’re looking for a robust, customizable task manager that’s compatible with Getting Things Done or other productivity systems and syncs across all your iDevices, Things has a lot to offer.